FILTER: Apply a lowpass/highpass resonance filter on the left or right deck. Use this knob to scroll through files. 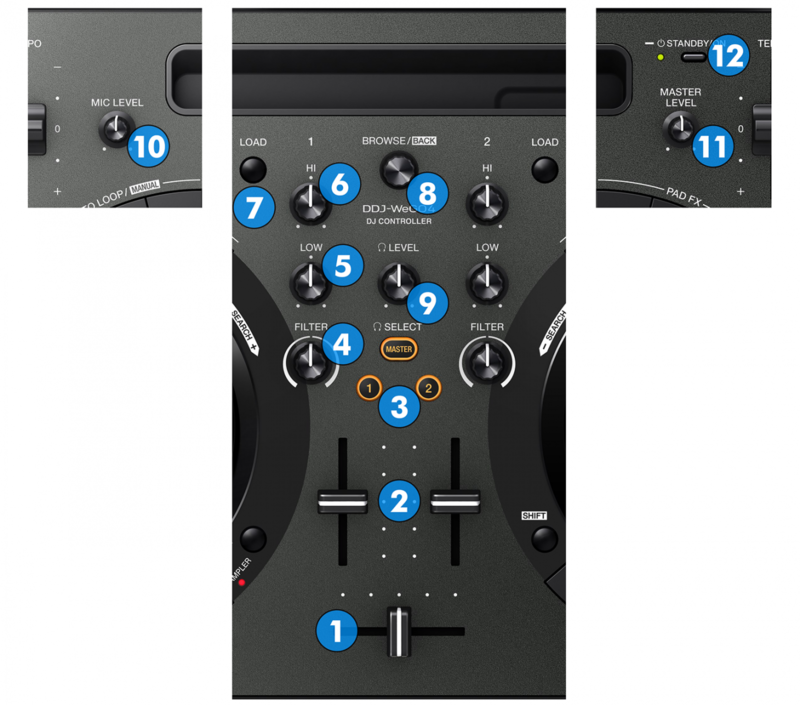 Push the knob to toggle between the normal Decks view and the Browser Zoom panel of the VirtualDJ GUI.